Building co. says that the land on which housing project in Beit El is built has been approved - and it changes facts on the ground. MD Yonatan Construction and Development Ltd. filed another petition to the High Court on Tuesday morning, requesting that they refrain from demolishing a series of buildings in Beit El slated for demolition. Following the petition the High Court turned to the Beit El local council and the owners to respond to the petition by 6 p.m. Tuesday. The company claims in the petition that the approval of the land on which it built two buildings is a material change in circumstances, and therefore the outcome of previous petitions filed over the issue must change - and that it cancels the demolition order issued by the High Court for the buildings. Last week, the Civil Administration cleared the land for building. Supreme Court Justice Anat Baron issued a temporary order preventing new approvals from being processed by the High Court, however, and for the moment the demolition order still stands. However, Prime Minister Binyamin Netanyahu announced Tuesday morning his intent to fight that ruling and allow the buildings to remain. 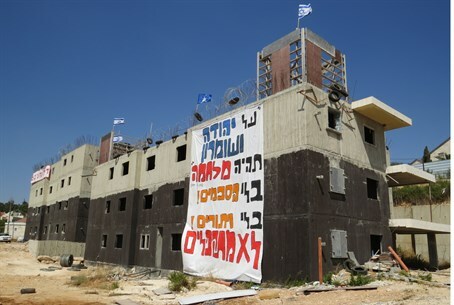 The homes have caused a public and political uproar after IDF and Border Police stormed Beit El for a surprise takeover of the homes overnight - despite the legalization process. At least 50 people were arrested in the clashes which ensued, and a series of photos and video at the scene show incidents of police brutality being used against Beit El residents, Israeli media has reported. For the moment, Beit El remains closed off to non-resident Jews - but the IDF is still allowing Arabs entry.